If you want an automatic garage door, we believe these are the best motor’s on the market. Most typical opener’s are made from a pole and chain scenario which was great 10 years ago but they aren’t known as being overly quiet. As houses are being built closer and closer to each other now days we think opener’s need to be ultra quiet and we promise you they are. The difference is a enclosed c-rail and timing belt that makes up the drive train of the opener (Overhead opener’s only). We have 5 types of ATA opener’s in stock so your garage door will always have the right opener on it first time. ATA (GDO-11) – Sectional doors only: The GDO-11 is the most common opener used at DoorSmart as it covers an opening of 13.5m2. This opener is the only one that comes standard with 3x remotes (double doors) one of which is waterproof. This opener will lift and close your door @ 140mm/sec. ATA (GDO-9) Enduro – Essentially an upgraded model of the dynamo but packs even more punch. With 1000n of power and covering a door area of 18.0m2. There isn’t much this opener will not operate. ATA (GDO-6) – The GDO-6 is an opener designed for Roller doors with a slim line design there’s a fair chance it will fit in even the tightest of areas. Covering an area of 16.5m2 and an operating time of 120mm/sec, it is a great all-rounder. ATA (GDO-8) – The shed master is designed for Roller doors, and is the only water resistant opener on the market. This makes it an ideal opener for an open carport situation where weather may be an issue. Its rated @ 13.5m2 and will operate your door at 100mm/sec. 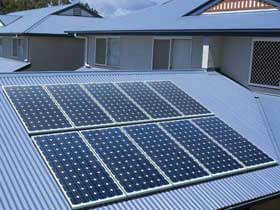 All ATA’s are compatible to run off solar, as there is more demand to use the sunshine now days to reduce power costs. Why not use it to run your garage door? (Solar set-up is not standard with our opener’s and is added as an extra).